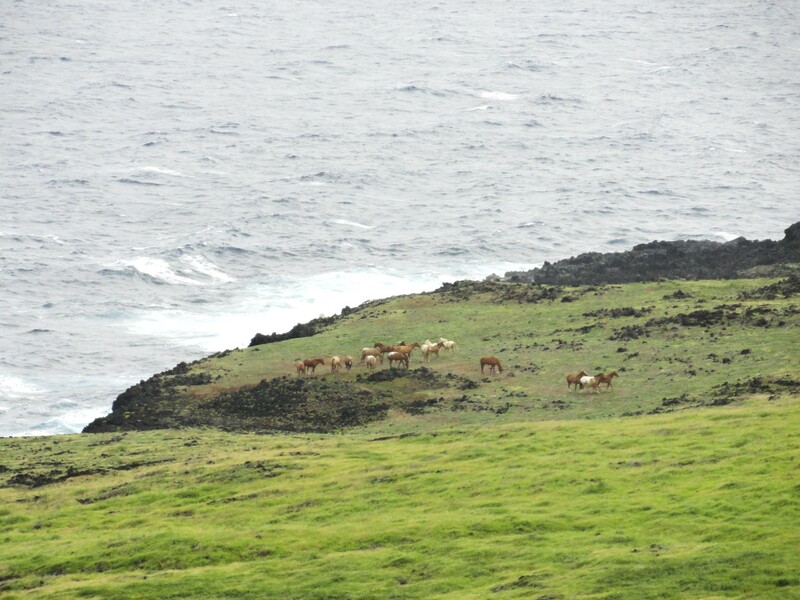 Between Punalu’u Beach and South Point, you will pass through Naʻālehu. It’s a tiny little town of around 1000 people and one main street that runs through it. 1) The Punalu’u Bakery – I would drive all the way to the other side of the Island for Punalu’u Bread, BUT now you can just buy it in the local grocery store. Still, it’s worth going to the actual bakery, which not only has the best bread EVER (along with samples) but just happens to be the southern most bakery in the United States. 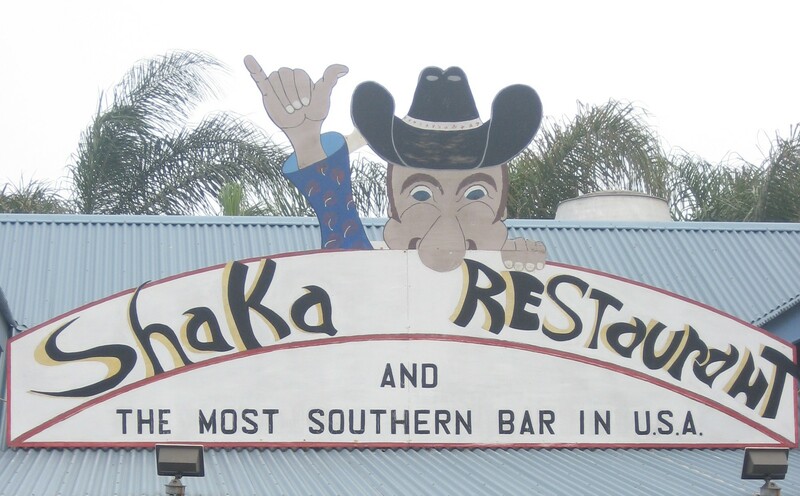 2) Shaka Restaurant – it’s Claim-to-Fame is that it’s the Southernmost Bar in the United States. But, Peter says it also has the coldest beer he’s ever had! It’s a good place to eat – pub food – yummy fish-n-chips, macaroni and cheese – that kind of food. 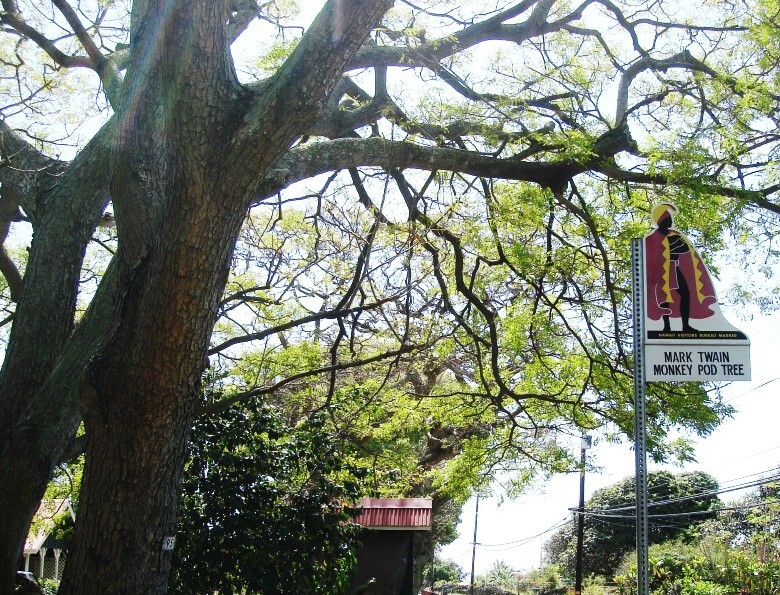 3) Mark Twain‘s Tree – Mark Twain’s tree is actually in Waiohinu, a town 2 1/2 miles north of Naʻālehu. He visited the town in 1866 and supposedly planted a Monkey Pod Tree. THAT tree blew down in 1957, but a shoot lives on and grew into what is now there, on the side of the road. 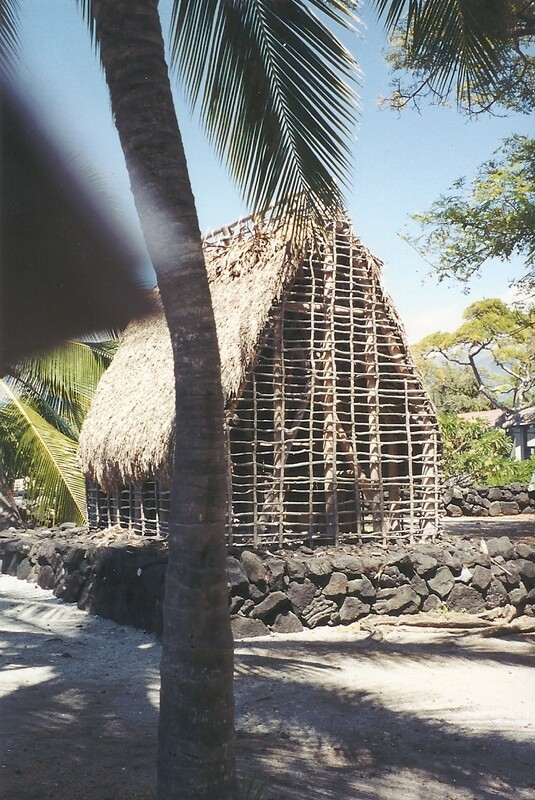 If you follow the Hawaii Belt Road (Hwy 11) clockwise from Mark Twain’s Tree, 37.5 miles later, you will arrive at the Place of Refuge Pu’uhonua o Honaunau National Historical Park. 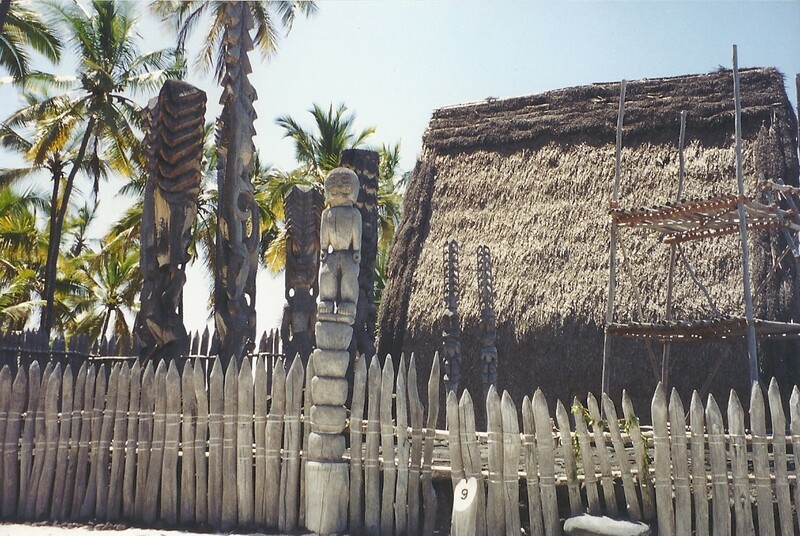 This was a place that “protected the kapu (sacred laws) breaker, and civilians during the time of war and the defeated warriors”, according to the description on the Place of Refuge website. You would have to run for your life, literally, and if you made it to the Place of Refuge, you could gain asylum. and Konane (a game similar to checkers, and also chess..sometimes, the chiefs would use this game to settle disputes). 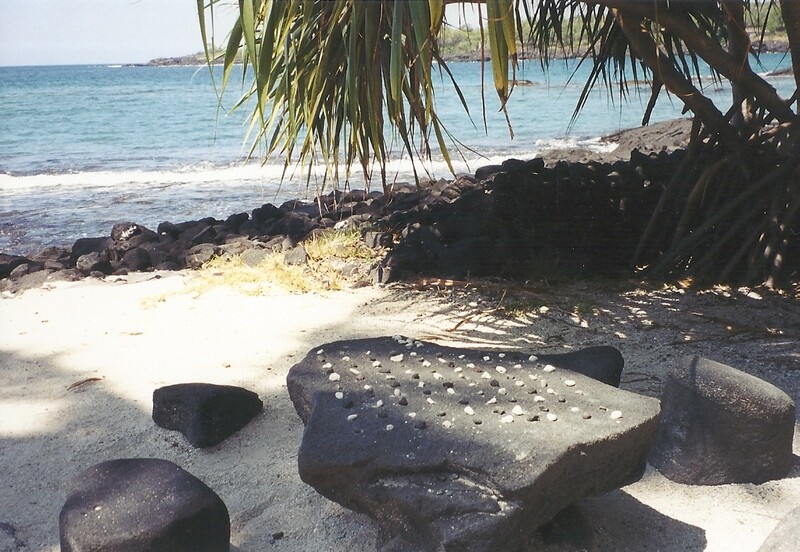 Once upon a time, apparently, Queen Ka’ahumanu had to swim there after a fight with her husband (King Kamehameha I). She got caught, but made up with the King, so… all’s well that ends well. There were once many Places of Refuge, but now this is one of the few that has lasted… There is a fee to get it – $5 per vehicle for 7 days! There’s aLOT to see and lots of history. Just go and get the guide from the National Park Service and see all you can see. There is a view that can’t be missed! 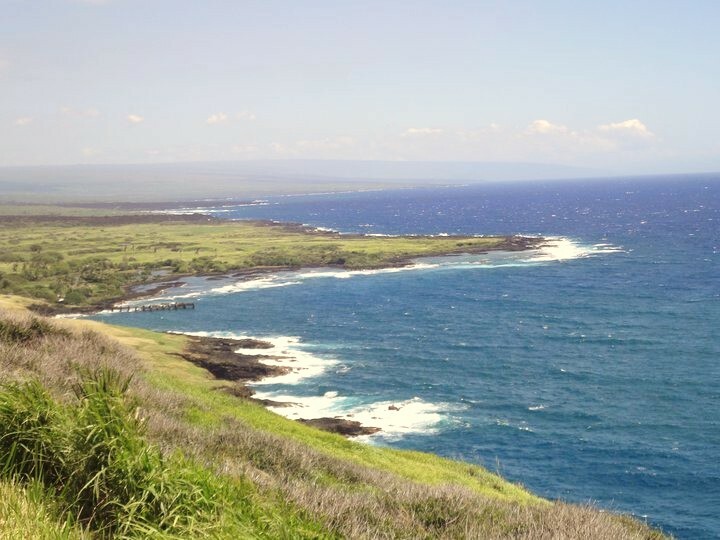 Between Punalu’u Beach and Punalu’u Bakery in Naʻālehu (5.3 miles from Beach and 3 miles from the Bakery) is one of the most breathtaking views on the Island. It’s of Whittington Beach Park (Honuapo). Once upon a time, it was a thriving sugar cane town, but then a tsunami (in 1946) destroy the town and left behind just remnants of what used to be the shipping pier. That’s exactly what it looks like. It’s beautiful and de solate. It looks like a scene from a movie. Pull over and take the picture – don’t forget! Sunday – we continue on to see where Captain Cook met his demise.